The Constantiaberg as it is known, is located in the Southern Suburbs of Cape Town and consists of a number of popular residential suburbs that are located in the Constantia Valley, namely Constantia, Tokai, Bergvliet, Meadowridge, Zwaanwyk and Kirstenhof – all offering outstanding real estate investment opportunities. There is a wide property variety for any owner or investor as the property mix includes free-standing residential homes, up market townhouse complexes and apartments, retirement homes and small holdings. There are many and diverse shopping facilities in close proximity to all the suburbs in the valley including the regional Blue Route Centre, Steenberg, Constantia Village, Alphen and Meadowridge shopping centre. Over years a number of businesses have decentralized from the city into the area and there are now modern office parks such as Westlake and Steenberg, in close proximity. Top schools are located in the area including Reddam Private School, The International School , Sweet Valley Primary, Waldof, Herzlia, Kristenhof Primary and Bergvliet Junior and Senior Schools. Top restaurant’s, gyms and excellent healthcare facilities such as the Constantiaberg Hospital, and other clinics are all easy accessible. Constantia is nestled beneath the slopes of the Constantiaberg Mountains and is one of the most prestigious residential areas in Cape Town. The properties offer both rural and a suburban lifestyle. The area is renowned for its beautiful lush green landscapes, surrounded by mountains and forests. The vineyards in Constantia are some of the oldest in the country and the Constantia wine route includes world renowned farms like Groot Constantia, Klien Constantia and Buitenverwachting. The immense beauty of these venues makes it hard to believe that you are less than 20 minutes’ drive from a major city centre. Despite the rural feel of this sought after suburb, you never far from some of Cape Town’s best restaurant’s, shopping centres and boutique shops. Various top school’s medical centre and gyms are located within easy access of property in Constantia. The area is any outdoor enthusiast’s dream with a myriad of forest walks and activities to enjoy. 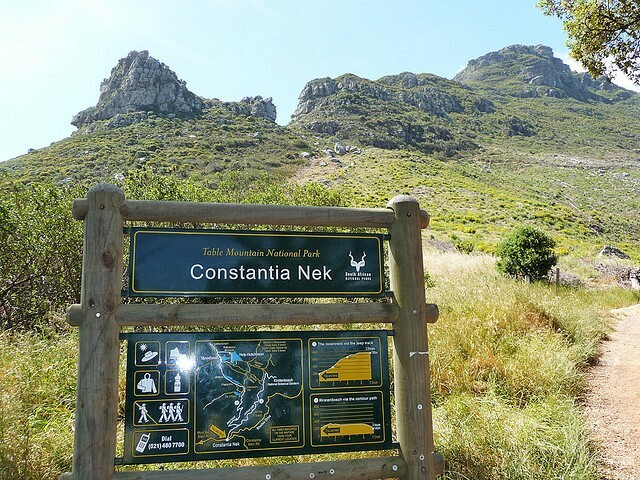 The well-known Kirstenbosh Gardens is located in the area, not to mention the Table Mountain National Park. Constantia real estate ranges from large family homes and security estates to smallholdings and farms and is perfect for those looking for an opulent country lifestyle. Named after the Tokai forest, on which it borders. Tokai residential properties are generally large and have beautiful gardens and set in tree-lined avenues. This residential suburb has a wonderful feeling surrounded by forests and the Constantia vineyards. The residential properties, including townhouse and apartment complexes are upmarket and Tokai is very sought after residential suburb. As such, residential properties in this area have proved to be an excellent property investment. Lying between Tokai and Constantia and next door to Bergvliet, Meadowridge borrows a little from all of its neighbouring suburbs yet has built a personally of its own. Meadowridge, as its name suggests, is a green suburb with tree-lined streets, plenty open spaces and wonderful views of the Constantiaberg Mountains. Meadowridge is typical of upmarket suburban living with an easy-going and relaxed style. The property profile includes residential freehold houses as well as townhouse and apartment complexes. Meadowridge Shopping Centre is centrally located and well supported by local community. Access to Cape Town city centre from Meadowridge is easy with quick access on to the M3 and 20 minute trip by car. Lying in the Constantia Valley, flanked by Tokai and Constantia is a true example of suburban lifestyle in Cape Town characterized by leafy streets, comfortable homes with beautiful gardens. Good value for money homes with close proximity to all amenities. The property profile includes residential freehold houses as well as town houses and apartment complexes. A quiet and peaceful suburb with easy and quick access to the city centre on the M3 arterial route. The spectacular Muizenberg mountains tower over the quaint residential suburb of Kristenhof. The up-market suburb of Tokai is its other neighbour. A very family orientated suburb with reasonably priced residential property. The suburb is in close proximity to excellent Schools, having its own Kristenhof primary, and also shopping Centres business parks, as well as Kristenhof located Clu Du Cap Retirement Village. Kristenhof borders Tokai and enjoys spectacular views of the Muizenberg Mountains. Lying between Kristenhof and the coastal suburb of Muizenberg is the residential suburb of Lakeside. On the Muizenberg mountainside the residential properties enjoy spectacular views over the Sandvlei and False Bay. Properties in this area are reasonably priced and are always in demand.